Through Our Hands is an online platform developed by Annabel Rainbow and Laura Kemshall promoting contemporary artists and makers, specialising in quilts. One of their aims is to help quilting gain a wider and refreshed recognition in the wider world. The project’s beginnings coincided with an exhibition on quilts, featuring Annabel’s work, at Leamington Spa Museum and Art Gallery in 2012, which I reviewed for The University of Warwick Student newspaper. 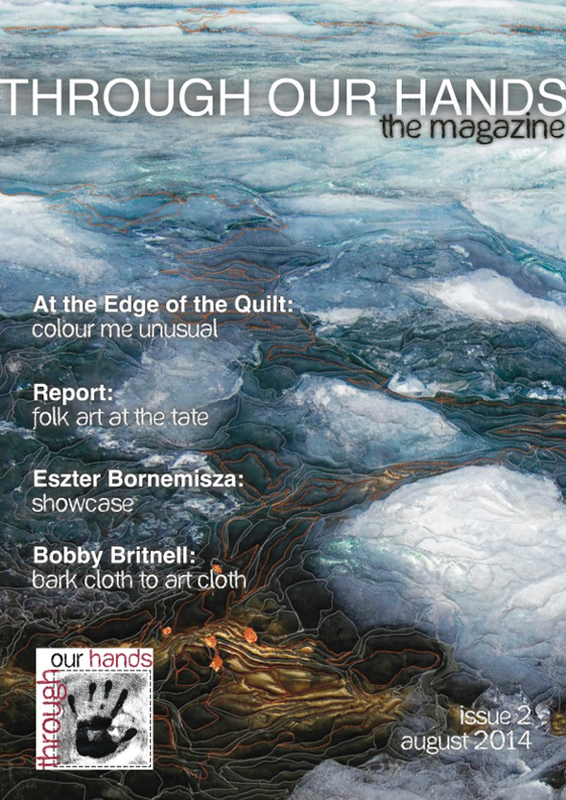 They have just launched their new, online quarterly magazine featuring artists’ work, interviews with makers, tips on quilting techniques and exhibition features. 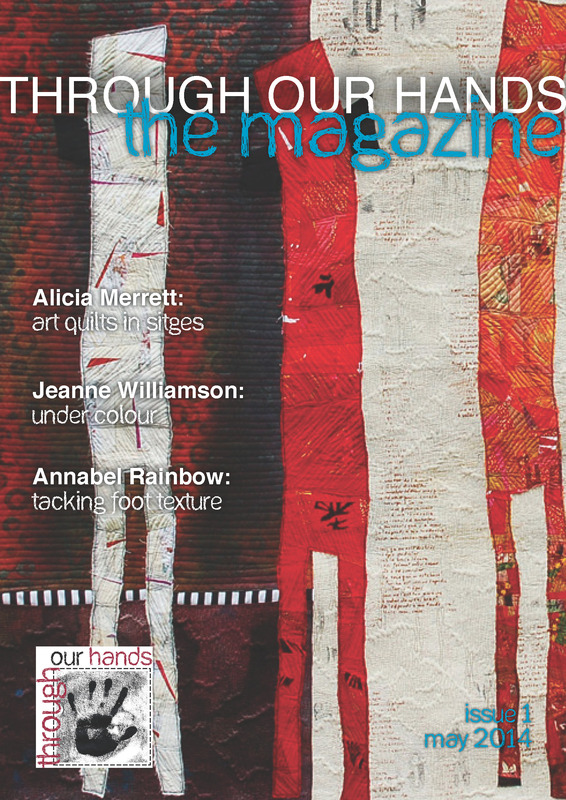 I was very pleased that Annabel asked me to contribute to the magazine with a piece on the Matisse exhibition in London. 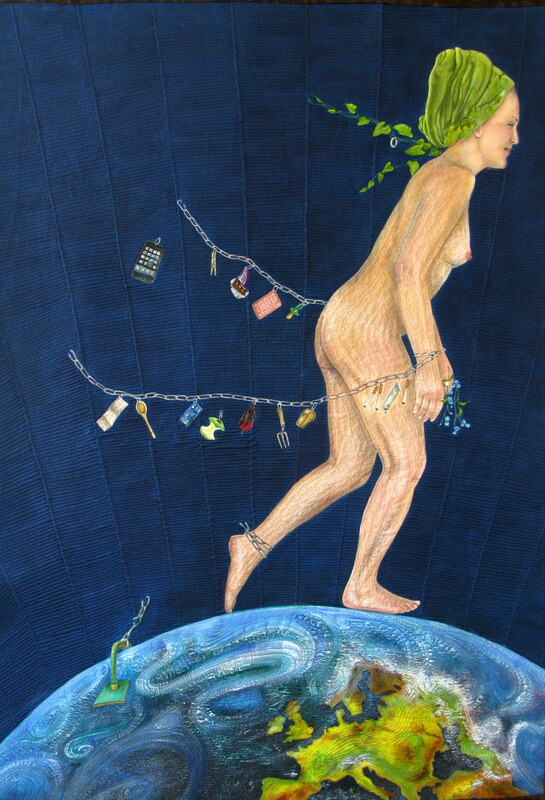 The relationship between art and crafts is constantly debated and revised within the creative world. Leamington’s latest art exhibition at the Pump Rooms engages with this by presenting a great variety of quilts in terms of shape, size, subject matter, medium and stitching techniques in order to focus on the aesthetic, but also the political, nature of quilting and craftsmanship. This directs the viewer to approach the quilts as pieces of art, rather than functional items coming from an archaic crafting history. However, the craftsmanship and obvious crafting skill that goes into making one of these beautiful quilts is not ignored, as the exhibition includes a film on how quilts and patchwork pieces are made alongside displays of quilting fabric samples that visitors are encouraged to touch.